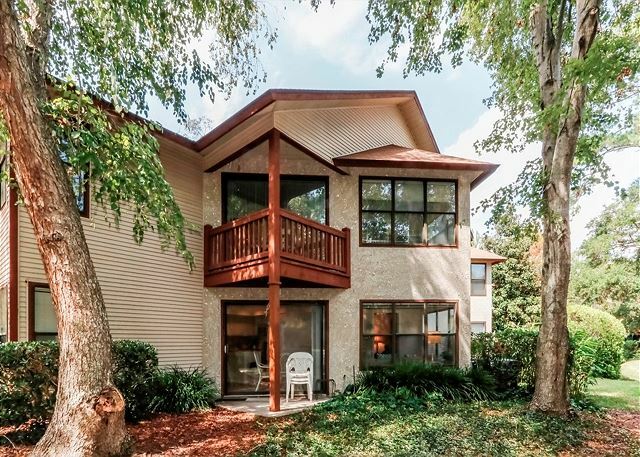 Real Escapes Properties is proud to offer this three-bedroom, two-bathroom ground level vacation rental residence at Harbour Oaks on St. Simons Island. 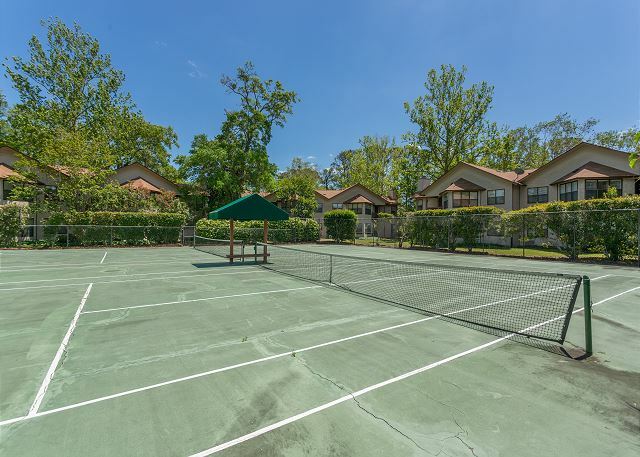 Harbour Oaks #123is a ground level 3 bedroom, 2 bath condo with a completely renovated kitchen. Very much enjoyed our stay on St simons and at 123 Harbour Oak, the master bedroom, master bath and kitchen were updated and very nice. The other two bedrooms and bath are dated but clean and comfortable. Many of the screens need to be replaced and sliding door screen in poor condition as is the screen door. We very much look forward to coming back next year and have already reserved the same unit. The complex is in a great location, ideally located to the village, pier and the great bike paths. It was a pleasant experience. The kitchen was well supplied and the layout of the condo was convenient. The location is excellent. It is easy walking distance from Pier Village. The only negatives were a queen sized guest bed that was too noisy to sleep on and a recliner with a seat that was worn out. A couch cushion filled the depression and it was usable. We look forward to coming back. The unit was clean and comfortable. Great kitchen. Nicely renovated master suite. New master bathroom renovation nice! 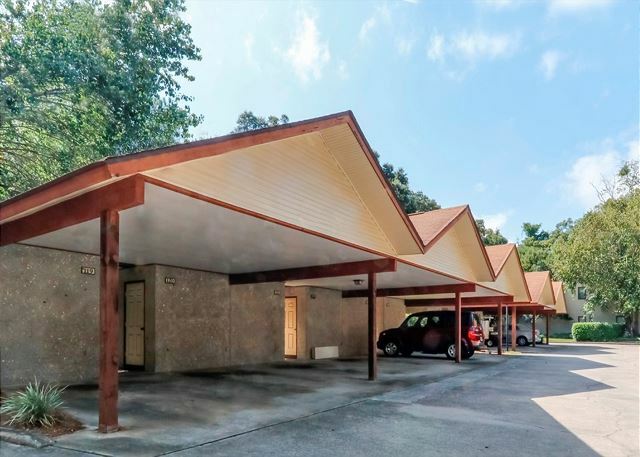 We love the location, unit is furnished nicely and very comfortable. As always Real Escapes was easy to deal with and property was in great condition. This is an annual event for our family. We moved to Real Escapes several years ago and couldn't be happier. The staff is much more helpful and friendlier than our previous agent. Stayed during first week of August 2018. Good timing as schools in the area already started. Nice unit, well furnished and comfortable. 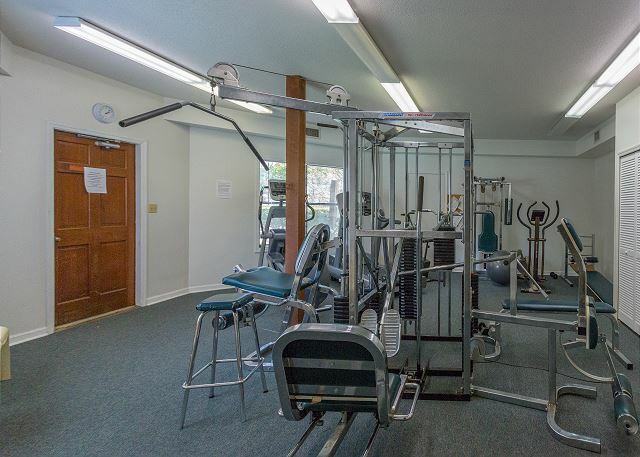 Location is great, able to walk easily to downtown, beach, and parks. 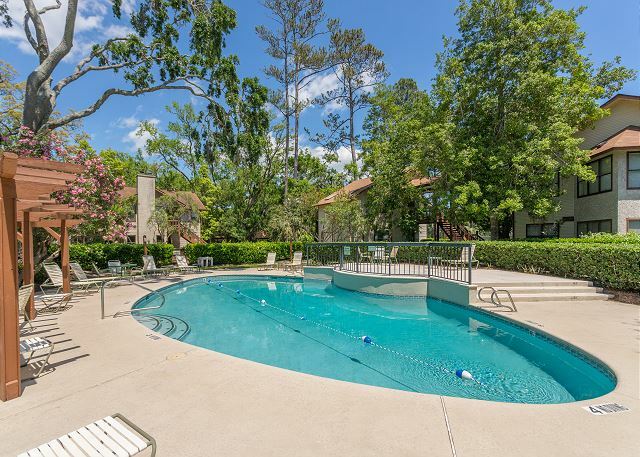 Pool and tennis courts are also nice features to have available. Reservations booked already for return trips! Awesome, everybody loved it !!! Property was clean and very comfortable. Beautiful kitchen, nice pool and very friendly people in the complex. We spent February in St. Simon's. This was our 4th year there for February. We like this apartment very much. It's clean and comfortable. The kitchen is well furnished. There have been updates and improvements each year, including a kitchen renovation. The queen and king beds are fine but the mattresses could be replaced. Still okay for a comfortable stay. The kitchen remodeling is great and makes the apartment brighter and more roomy. Love the sunroom and it's furniture. The apartment furniture is comfortable. Decor is great with plenty of natural light. 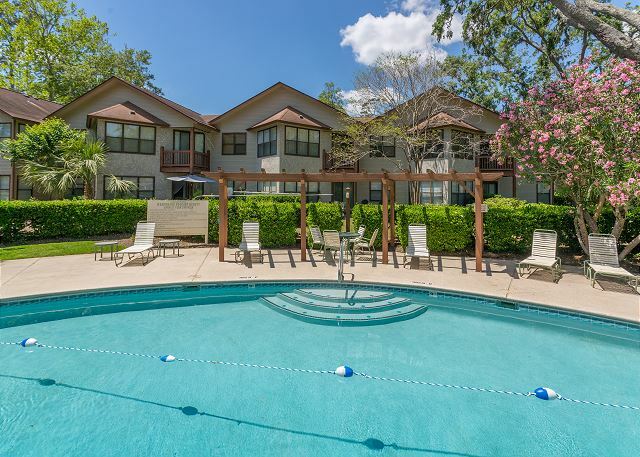 Harbor Oaks location is wonderful with easy walking access to the village and pier. The complex is beautiful, green and shady and maintained. Love it there. Real Escapes Agency is very good to work with. They are professional and accommodating and responsive to requests and minor repairs. All in all a very great experience. We loved Harbour Oaks! 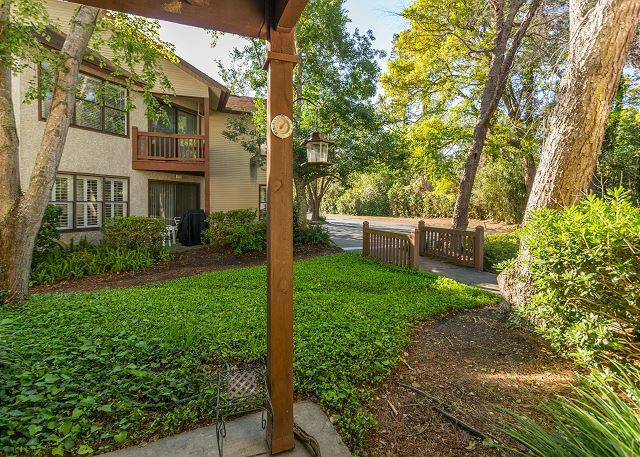 Great location, beautiful setting, very convenient layout of condo for our family, clean, and comfortable. Only complaint was the light fixture in one bathroom was hanging out of the ceiling and non-functional. We've been leasing a unit on SSI for the month of July for about 15 years and this is absolutely the best. My wife has already reserved it for next year.